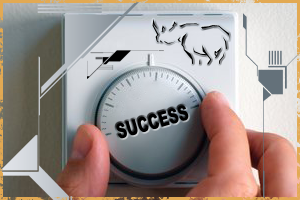 Set Your Thermostat on Success :: Christian Warren’s Official Leadership Development, Business and Executive Blog. Imagine the thermostat in your home. Get a good, clear picture of it. I know this is a strange request—I doubt you usually spend a lot of time pondering your thermostat. But it actually plays a pretty amazing role in our daily lives. Think about it. With the simple push of a finger, a thermostat creates huge changes in our environment. It dictates how comfortable or uncomfortable we’ll be in our surroundings—and in some seasons, it even determines whether or not we can continue to function. If your home is too hot, you simply push a lever to the left, initiating electrical currents that signal the air conditioner to power up a compressor. The compressor begins to chill the air, which is systematically blown throughout your entire house by a fan. When the house is cooled to your desired temperature, the thermostat intelligently shuts off the fan and compressor. And, of course, the exact reverse happens when your house is too cold and you turn on the heater. In either case, the thermostat repeats the cycle when the air temperature once again needs an adjustment. In other words, when you’re happy with your environment, you can leave the thermostat alone. When you’re unhappy with your environment . . . you adjust your thermostat. And, perhaps most miraculous of all, the thermostat will make your desires a reality to the exact degree you choose. You set a temperature, and without your having to give it another thought, your entire environment adjusts to that temperature. Now here’s the good news. This amazing function of the thermostat isn’t just something reserved for the realm of technology. Most of us have a thermostat that adjusts the temperature of our home environment, but we also all carry with us a thermostat that adjusts the direction of our lives: our vision. If you’re happy with your life, your vision leads you forward as if automatically. If, however, you’re not happy with your life . . . or you feel you can do much better . . . then you need to adjust your thermostat. It’s time to fine-tune your vision. 1. 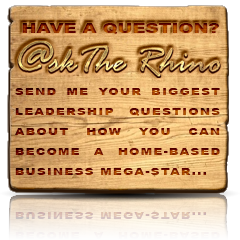 There are countless benefits to having a clear, stated vision. Your vision . . . Provides continuity, so that you can avoid the stutter effect of planning fits and starts. Alerts you and your stakeholders to problems and the need for change. Promotes a sense of accountability and ownership. 2. Your vision must incorporate and promote your core beliefs. Your beliefs . . .
Are a statement of your values. Are a public/visible declaration of your expected outcomes. Guide the actions of all involved. Reflect the knowledge, philosophy, and actions of all involved. Must meet your organizational goals as well as your community goals. Must be precise and practical. Are a foundation for strategic planning. 3. A leader understands—and avoids—the things that kill vision. If you walked into your house and discovered that it was too sweltering hot to move, you wouldn’t just plop down on the couch and live with it. You’d adjust your thermostat. So why do we so often accept less-than-optimal outcomes in our lives? We do have the power to alter the course of our lives. All we have to do is adjust our vision. When you begin to incorporate the above action steps into your life and business, by first understanding how powerful a vision can be to your future, then beginning to think about what your vision must include and what negative influences it must exclude . . . you’ll find yourself moving forward free of all the old straining and confusion. With a vision, you’ll naturally leave behind ineffective and unsupported behaviors and start leveraging the daily practices that drive you toward success.